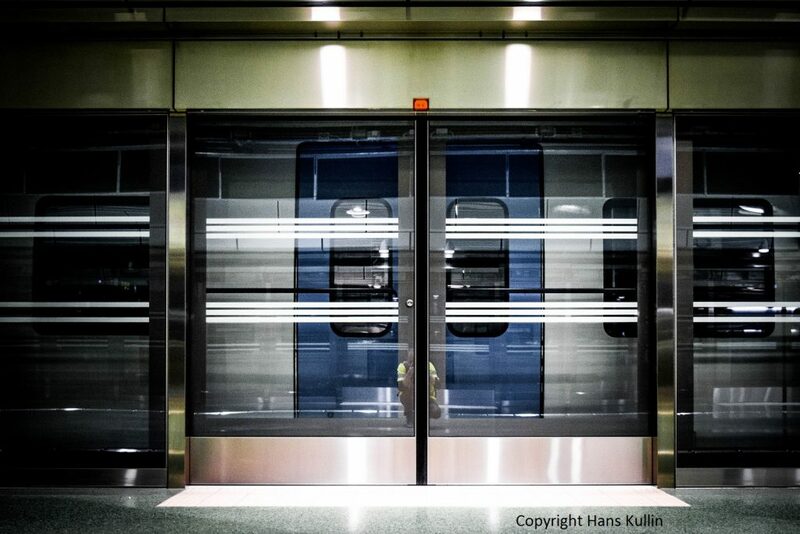 In 2017 I had the opportunity to walk around the brand new commuter train stations Stockholm City and Stockholm Odenplan, which was great fun. The stations were largely finished and completely empty of people because they had not yet opened. In addition, there was not a single advertising message on the walls, which of course reinforced the unreal feeling. When they opened for traffic on July 10, 2017, the stations were taken over by travelers and advertisements, so this was really a unique opportunity to photograph. Both stations are also decorated with completely new art. 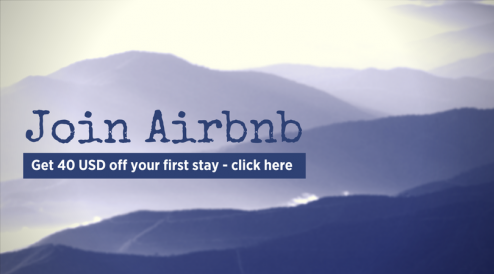 I wrote a blog post about in on my Swedish social media blog and I have now translated it into English. So here are my photos from that unique Insta walk underground. 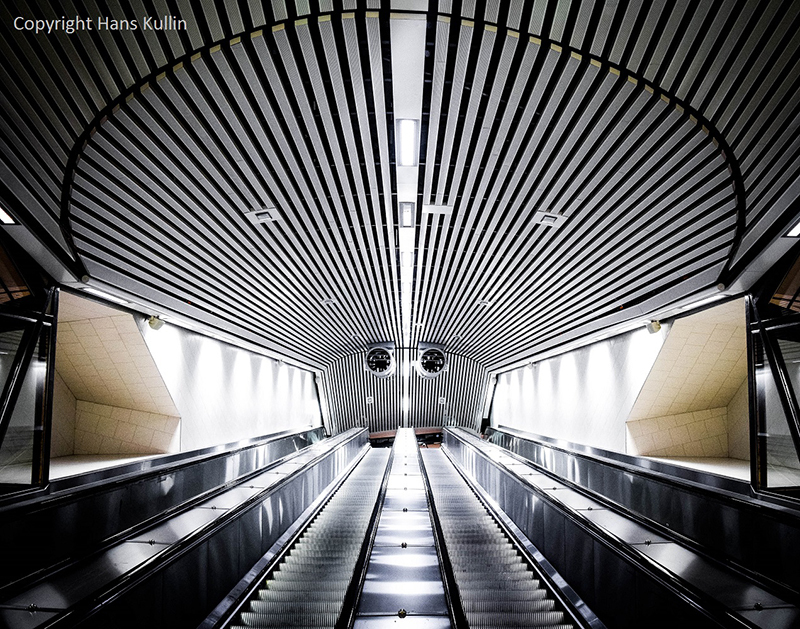 The new station is located below the Odenplan metro station and replaces Karlberg’s station. Since the station is far below ground, it has an intermediate platform in the south and one in the north before coming down to the train platform. The connection from the subway platform at Odenplan leads down to the southern level, as you see in the picture below. 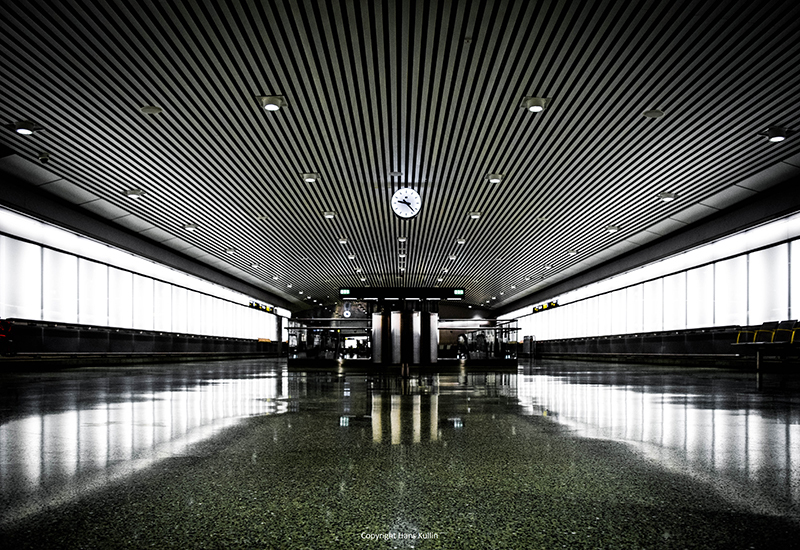 Already here, there is a feeling of an airport underground. Clean, modern and futuristic. 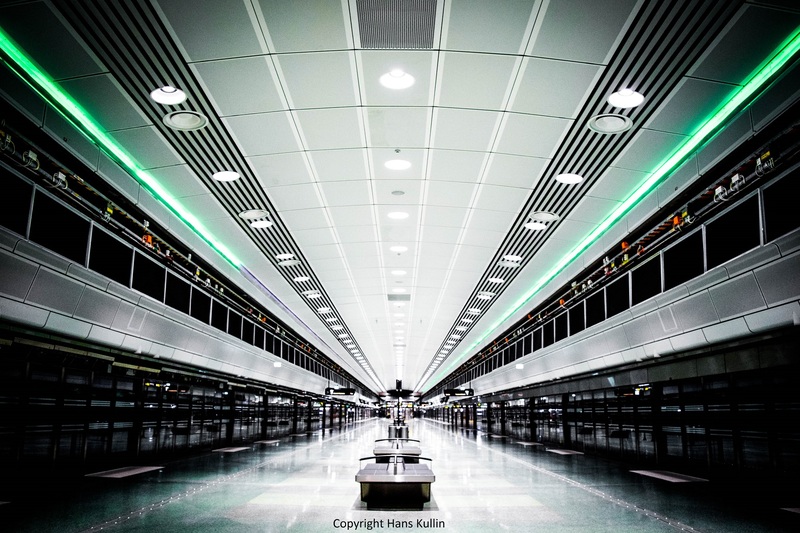 The stations are bright with many light panels on the walls to counter the perception that one is so far below the ground level . The platform itself is 250 meters long and has two tracks but is prepared for two more tracks in the future. The two stations are the first in Stockholm to be equipped with glass walls that open to the train doors, which will provide increased safety. 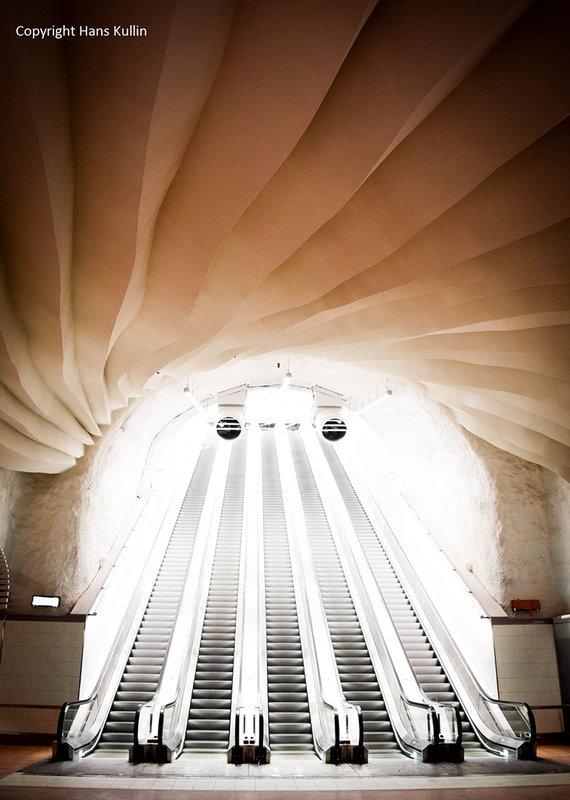 The escalators to the northern middle plane are decorated by the stunning artwork “Life Line” by David Svensson. 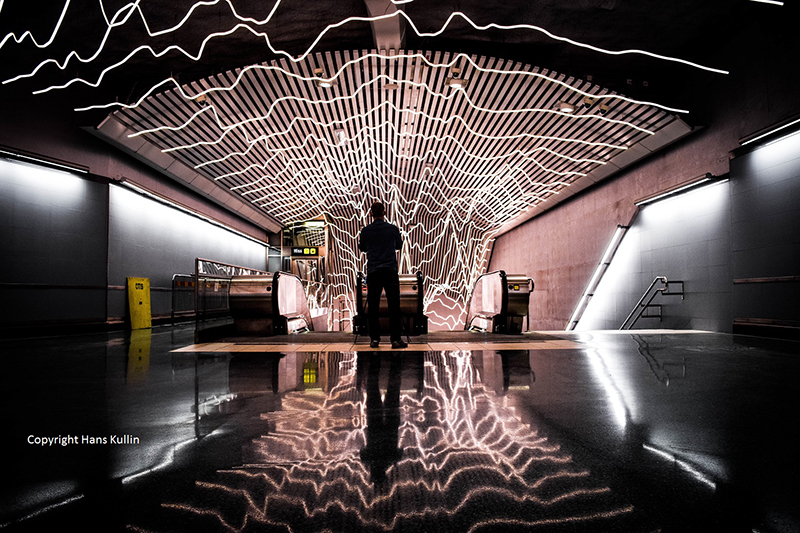 It is a 350 square meter light work inspired by a child’s heartbeat. Of course it is not this dark, I have allowed myself some artistic freedom to edit the picture a little in Lightroom. This station is located 45 meters below the ground surface and thus under the blue line, which is the deepest underground subway line in Stockholm. 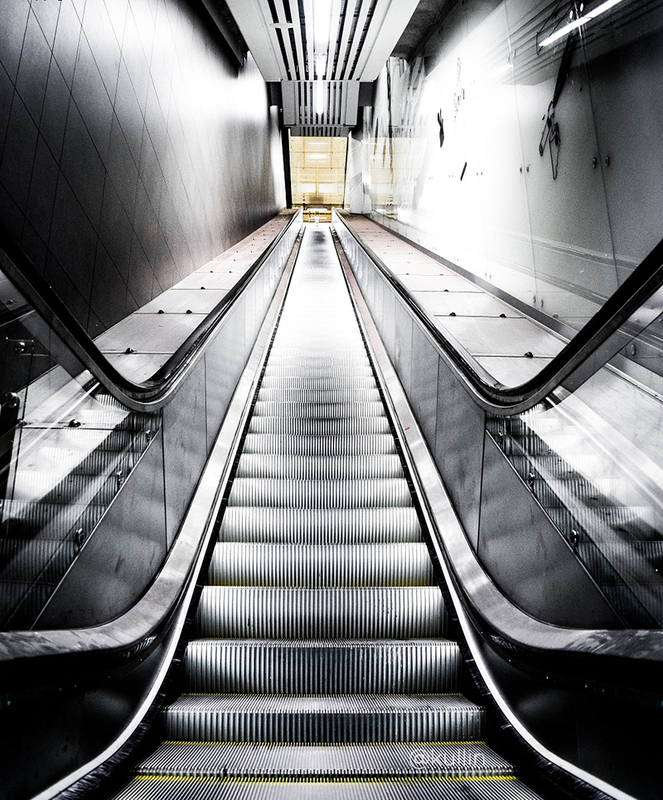 Perhaps the most impressive part of the whole new system is Karin Lindh’s “Pendlarkatedralen” or “the Commuter Cathedral”. 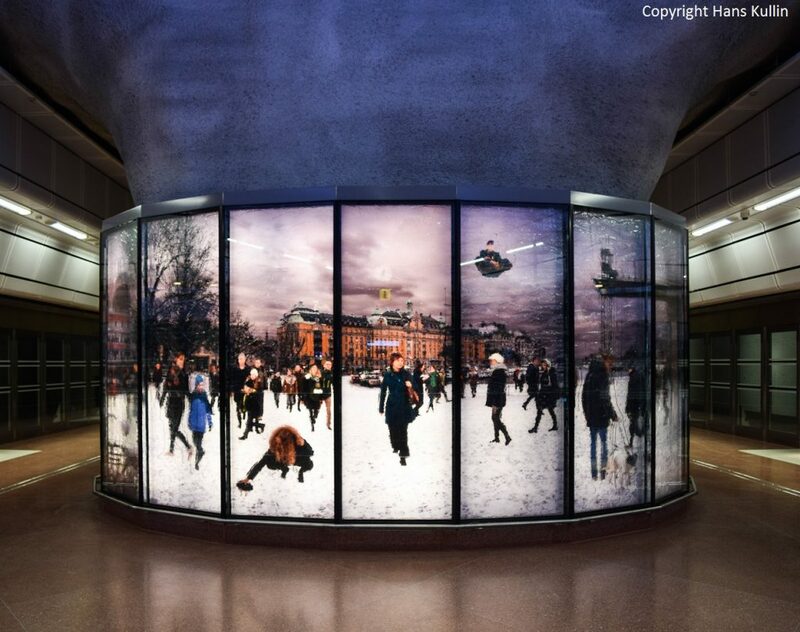 It consists of several parts, of which the most beautiful is the magnificent dome of Station Stockholm City’s southern middle platform, which is dressed and draped as a skirt in motion. I almost felt like it could have been designed by architects like Gaudi or Calatrava. It is a safe guess that this quickly will become a favorite among tourists and Instagrammers. On the 250-meter-long platform, you can find Peter Svedberg’s glass artwork “City, Trees and Meadow”. Several of the art works bring down everyday life and nature far underground. Like this one by Åsa Lindström. 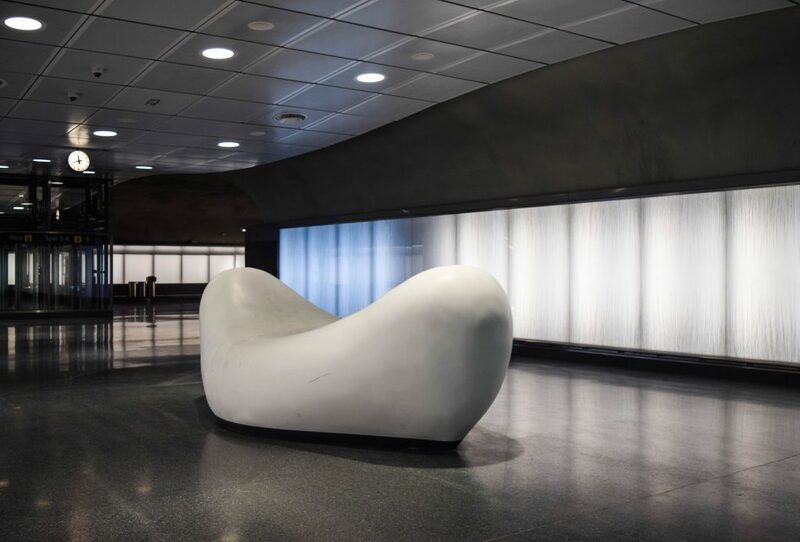 Karin Törnell’s art work “Andetag och Fotfäste” is located at the northern middle platform of the Stockholm City Station. 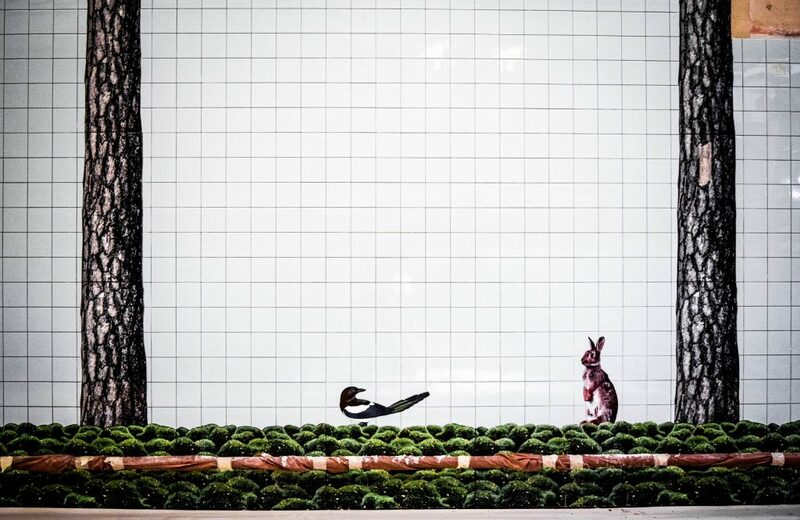 The sides of the passage way are covered with glass panels with 30,000 hand-painted grass straws. In the middle lies a white giant blob, the sculpture “Foothold” in white Corian, which is supposed to attract young visitors to climb up. The stations opened up to the public as the commuter trains started running on July 10, 2017.